If you have suffered from sciatica, you’re probably always on the lookout for an effective treatment. Sciatica can be uncomfortable or completely and debilitatingly painful. It calls for a pain relief that can act fast and target specific locations of discomfort. Enter transcutaneous electrical nerve stimulation, better known as TENS therapy. TENS is a safe and drug-free way to treat all sorts of chronic and acute pain. You can use a portable TENS unit for sciatic pain, osteoarthritis, carpal tunnel, and more. Does TENS Work for Sciatica? So how does TENS work? Its mechanics are all in the name. The unit sends gentle, electrical shocks through the skin in order to stimulate the nerves. The electrical shocks are not painful, as one might assume initially. Instead, many describe these gentle shocks as being a pleasant sensation similar to a massage, or a light tingling. 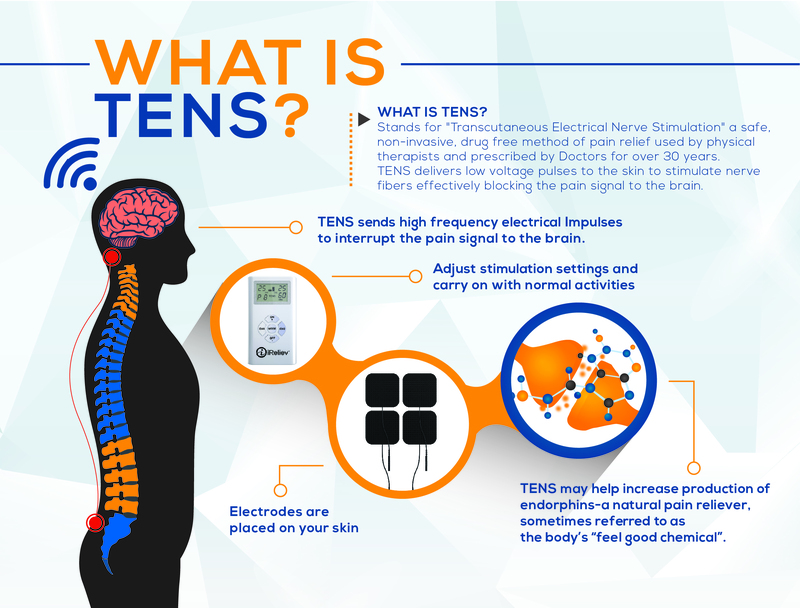 TENS works in two ways to help relieve pain. The first step is to block painful signals from travelling through the nerves to the brain, replacing them with the massage-like tingling. The second function that TENS performs is stimulating the release of endorphins, the body’s natural painkiller. Together these actions ensure that when you use a TENS unit for sciatic pain you get powerful and immediate results. But there’s another reason that using a TENS unit for sciatica is a perfect fit, and that’s the versatility of TENS. There’s no one form of sciatica. 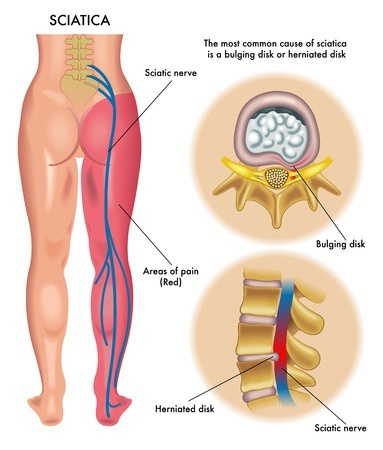 Sciatica is a condition related to the sciatic nerve, the longest nerve in the body. The sciatic nerve runs all the way from the lower back, through the hips, the buttocks, down the legs, and to the feet. Sciatic pain is caused by pressure or pinching to the sciatic nerve. This pressure is frequently caused by a herniated disc in the lower back. In this condition, the cushioned disks that separate the vertebrae become worn down and may slip out of position, causing pressure to the nerve. How Can TENS Help Relieve Sciatic Pain? Because the sciatic nerve is so long, sciatic pain can affect any area along the lower back, hips, legs, and feet. Fortunately, TENS therapy is given using small electrode pads which can be placed almost anywhere on the body. 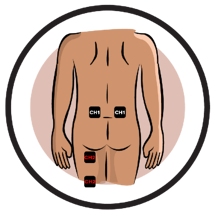 TENS unit placement for sciatica is effective in multiple configurations. 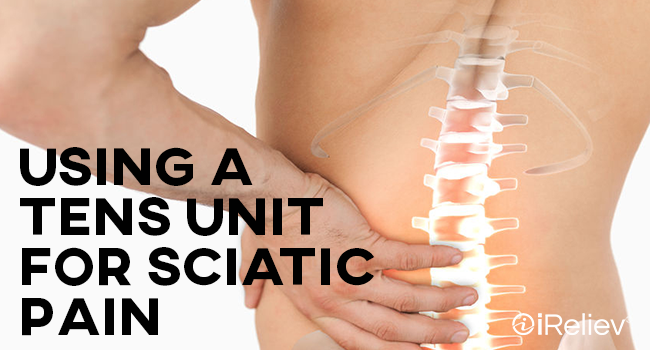 And, because over-the-counter TENS units are safe and easy to use at home, those suffering from sciatica can experiment to find the placement that’s best for them. 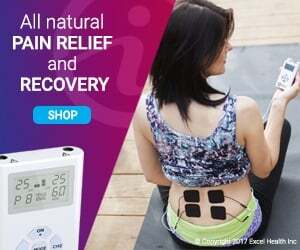 Not only can users control the placement of their TENS unit for sciatic pain, but with versatile units like those by iReliev, they will also find multiple program settings and intensity levels. 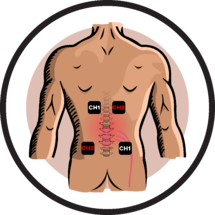 The best TENS unit placement for sciatica will depend on you finding what works for you. 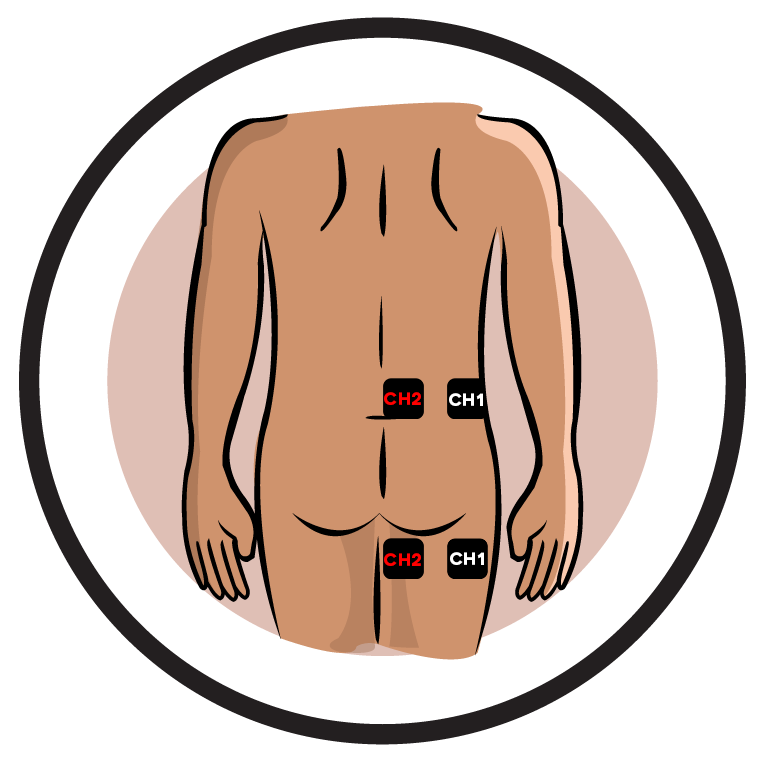 However, you can start with some recommended pad placements from iReliev which suggest placing two electrode pads on either side of the spine at different vertebrae. As with any tool, you’ll find the best utility with a little experimentation. It’s safe to explore the various settings when using a TENS unit for sciatica. Once you find what works for you, you’ll find that pain relief from sciatica is accessible, effective, immediate, and even portable when you use electrotherapy.